This is a crucial Prophetic Word that every believer in and follower of YAHUSHUA should hear. This WORD calls for URGENT PRAYER and ACTION!!! unless he first reveals his secret to his servants the prophets. 3 If he sees the enemy coming to attack the country, he will blow his horn to warn the people. 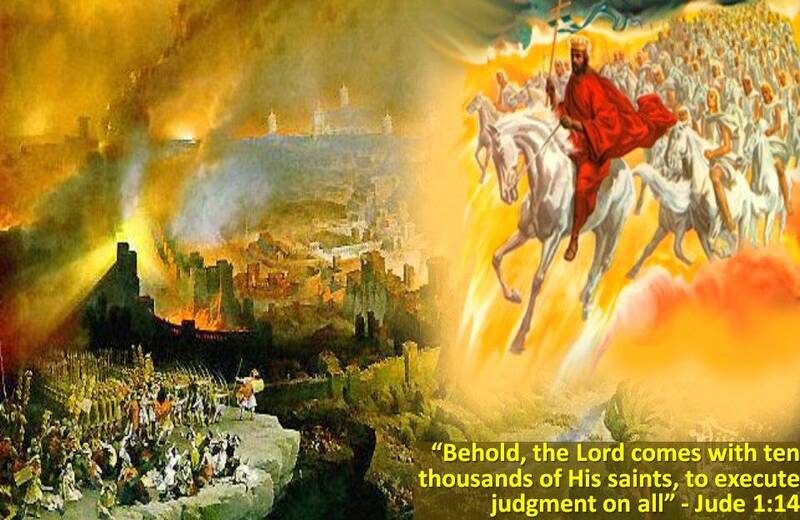 YAH (GOD) has revealed a PROPHETIC WORD regarding SPIRITUAL STARVATION and the COMING NUCLEAR ATTACK. 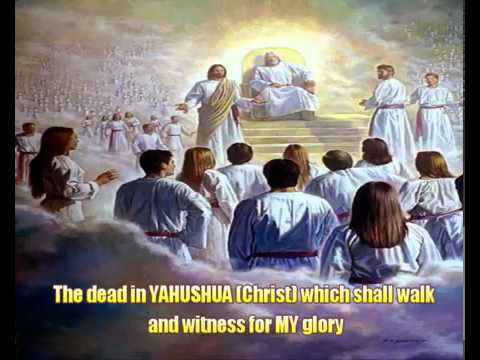 This Prophetic Word reveals how much closer we are to YAHUSHUA’S \(JESUS’/YESHUA’S) Return to harvest / rapture HIS BRIDE (Wise Spiritual Virgins) – Matthew 25. YAH is sending out a “CALL TO PRAYER AND ACTION” to all YAHUSHUA’S (a.k.a JESUS’/YESHUA’S) BRIDE and GUESTS. 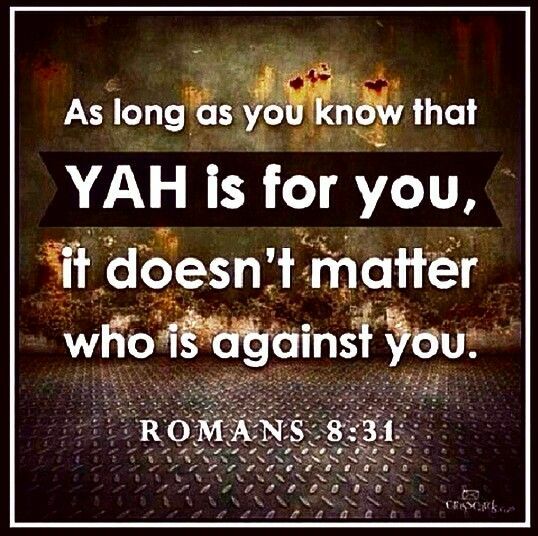 Many people who belong to YAHUSHUA are being starved by RELIGION / SPIRIT OF RELIGION not knowing that YAH’S SALVATION is not about religion but rather a LOVING OBEDIENT RELATIONSHIP WITH YAH! They need someone to tell them. 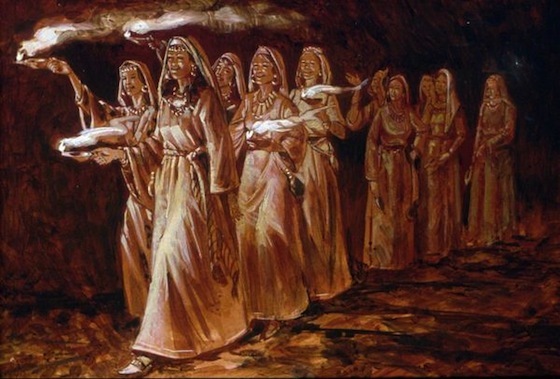 YAH is calling HIS BELOVEDS to “COME OUT OF HER MY PEOPLE THAT YOU MAY NOT SUFFER WITH HER PLAGUES!” (Jeremiah 51:45 & Revelation 18:4). They need someone to tell them. YAH has revealed that a Nuclear Attack will occur at some point in the (not too distant) future. We need to pray that we who truly love YAHUSHUA HA MASHIACH will not be affected by it in any way in YAHUSHUA’S name! We also need to SPEAK OUT MORE AGAINST PRACTISING RELIGION because YAH’S SALVATION is NOT about a RELIGION! A RELIGION will not save us from eternal damnation, etc. More of YAH’S people need to hear more about the JEWISHNESS OF OUR MESSIAH AND HOW IT RELATES TO US AS BELIEVERS IN & FOLLOWERS OF YAHUSHUA (a.k.a JESUS/YESHUA) then act on what they have heard before it is too late! Our role is to PLANT THE SEEDS (by speaking out in YAH’S Love) then WATER THEM with our PRAYERS! 14 All the officials, the priests, and the people became increasingly unfaithful and followed all the disgusting practices of the nations. Although Yahweh had made the temple in Jerusalem holy, they made the temple unclean. 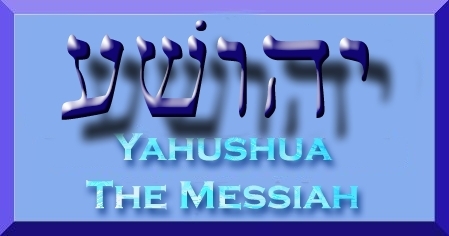 [a] 15 Yahweh Elohim of their ancestors repeatedly sent messages through his messengers because he wanted to spare his people and his dwelling place. 16 But they mocked Elohim’s messengers, despised his words, and made fun of his prophets until Yahweh became angry with his people. He could no longer heal them. 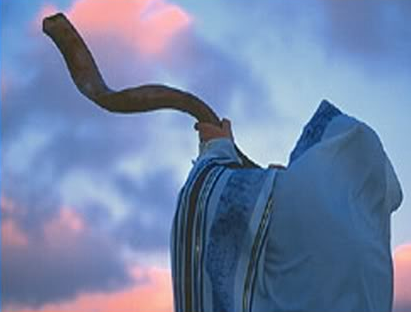 Please help me sound the shofar horn of warning! If your pastors won’t listen, then you are held accountable to speak out anyway! I have such a urgency in my spirit!I had a vivid dream on Dec. 19, 2001. The only reason I share it with you is not to cause fear, but rather to ask your prayers that this dream will NOT come to pass! GOD YAHUVEH speaks to us in visions dreams and revelations as well as prophetically. Only the fervent prayers of the righteous will stop this dream from becoming a nightmare. I was walking down a road and a cow filled with milk followed me wherever I went. It wasn’t my cow. The farmer accused me of stealing his cow! I said I couldn’t stop the cow from following me, it was the cow’s choice! I saw 3 squares in a row drawn by the finger of YAHUVEH in the sky. I heard a sound like a roaring noise. I can’t explain it. Then I saw I was in the mountains and huge boulders were coming my direction. I ran to the ocean where my home was in the dream. I got into the house. Then I saw the 3 squares again being drawn in the sky. I watched in horror , and tried to think which was a least painful way to die, for I thought the ocean would cover the house and all would be drowned if I remained. So I decided to go to the mountains again. I heard the roaring noise and then right after the 3rd square was drawn I saw before I could move FIREWORKS in the sky, first light colored boring kind, then brightly colored fireworks! It was beautiful fireworks. I didn’t run, I just watched the fireworks. Only the fervent prayers of the righteous will avail much, IF my people will fall on their faces and humble themselves, I will hear their prayers and heal and their land! Please take these dreams seriously. YAHUVEH spoke to me audibly 3 years ago and 2003 will be the 4th year. He said “In four seasons you will know.” If we discern rightly, the 4 seasons are years. Do we really have that long or will the end come sooner? 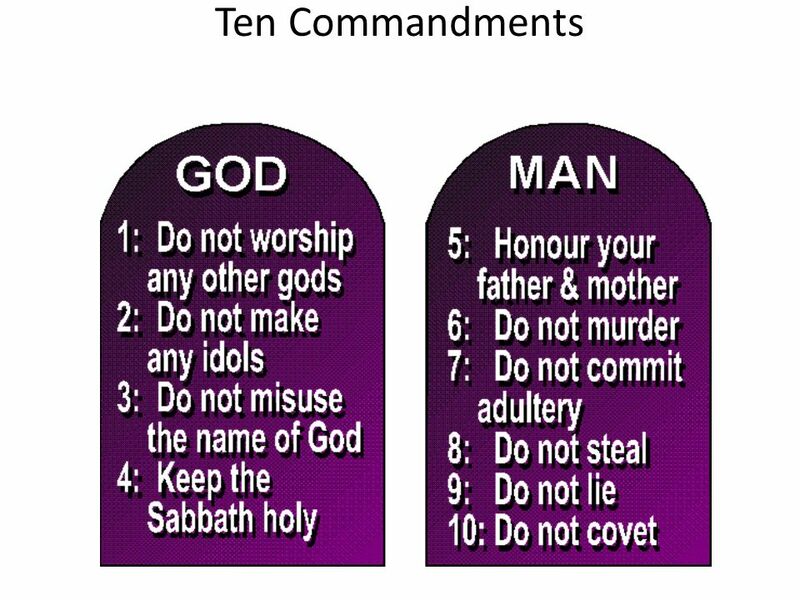 For too many have the desire to destroy America and have the power and only YAHUVEH and YAHUSHUA (Jesus) can stop it! He will use our prayers! Who will help us intercede? We must have more time to reach this world for the kingdom of Heaven. 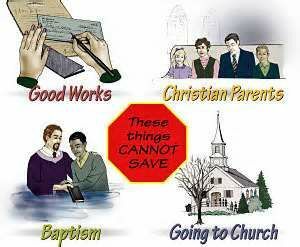 Please tell others about the saving grace of YAHUSHUA so they will be saved. 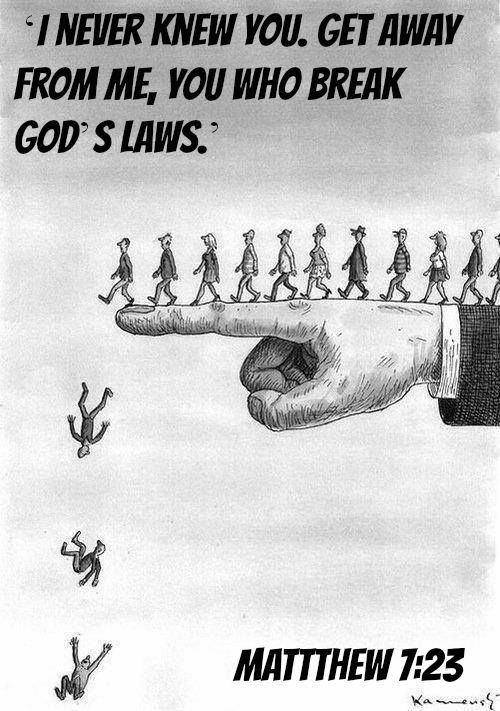 Don’t fear man who can only destroy the flesh, but rather work out your own salvation with fear and trembling with a GOD YAHUVEH that can kill your flesh and throw your spirit into the lake of fire. Because I love you, I am warning you. 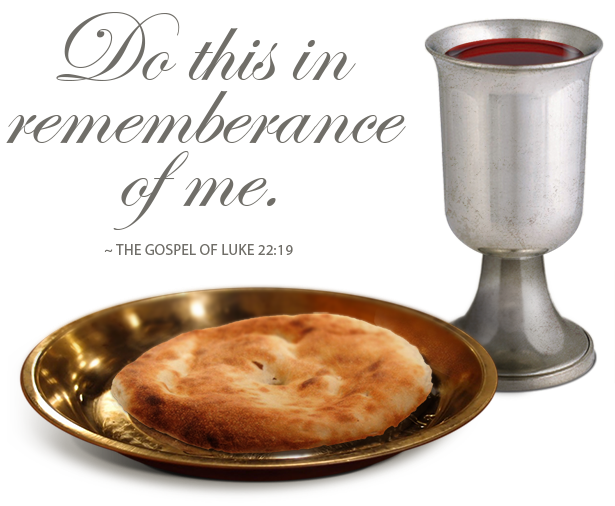 Ezk 3 17:21 The blood is not on my hands. Please remember the true Sabbath day and keep it Holy. 11 We have a lot to explain about this. But since you have become too lazy to pay attention, explaining it to you is hard. 12 By now you should be teachers. Instead, you still need someone to teach you the elementary truths of God’s word. You need milk, not solid food. 13 All those who live on milk lack the experience to talk about what is right. They are still babies. 14 However, solid food is for mature people, whose minds are trained by practice to know the difference between good and evil.